Here is some nice video coverage showing the Highland Fling race I just completed and showing those river crossings. Summer is coming! 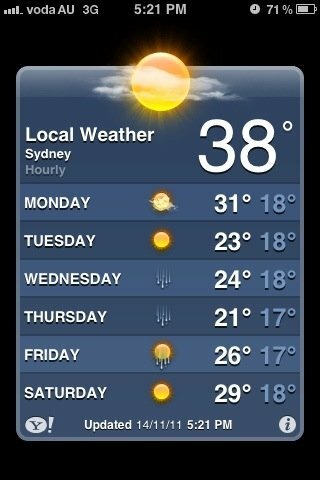 Wow just came out of my cool aircon office and was blasted with this! As the title says I actually completed it and god does my body keep telling me, it was hard. 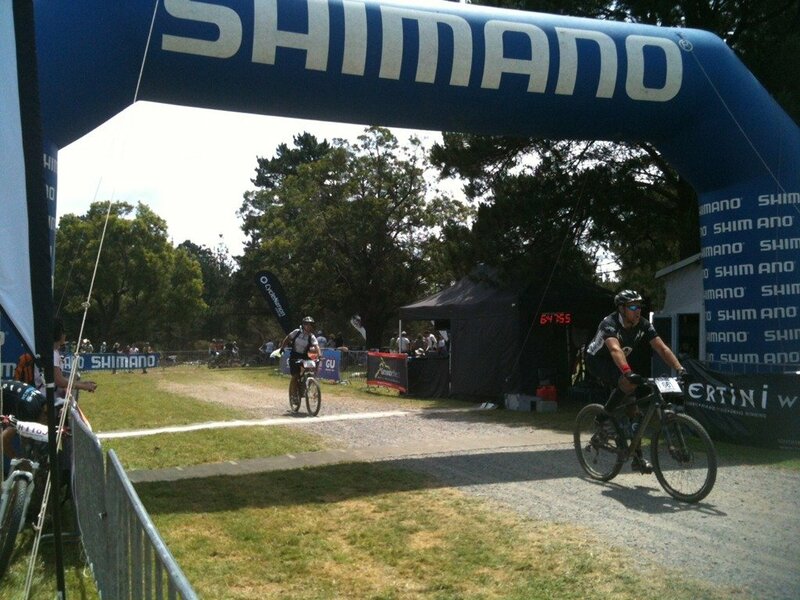 The Highland fling is a 100km off-road mountain bike endurance event in the forest about 2 hrs south west of Sydney. 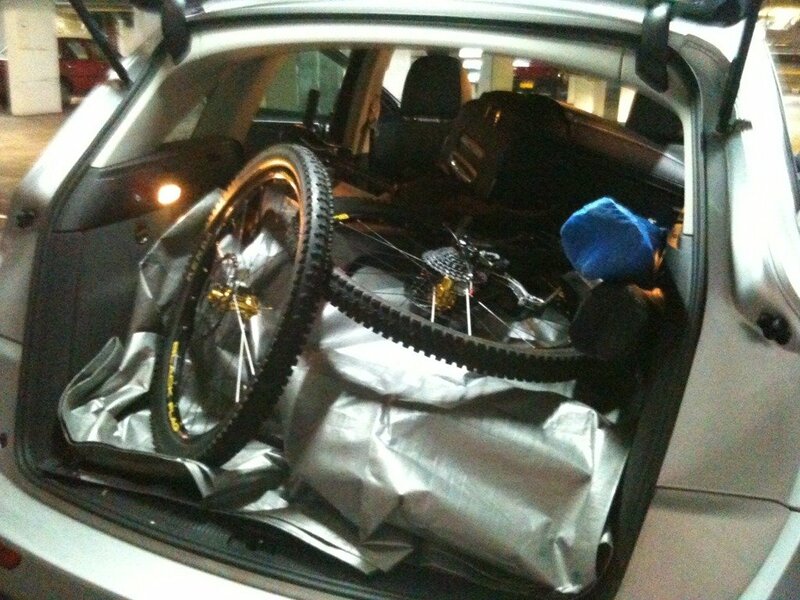 Sanna and I packed up our Audi Q5 with bike bits which was our courtesy car from Audi and off we went. 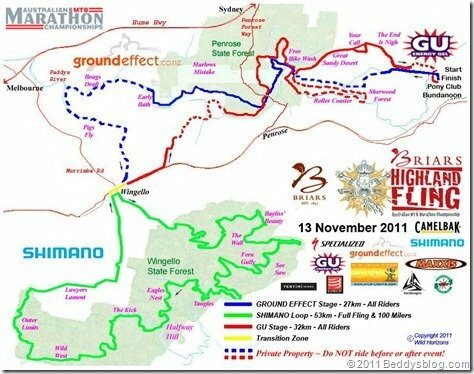 The course is 2% road about a third on fire trail and 2 thirds on hilly rocky single track. 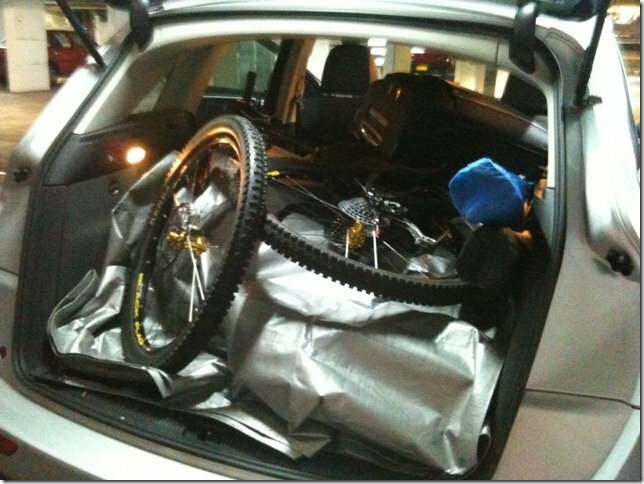 It must have felt like doing 200km on the road, it was such hard going. By the halfway mark I was working in the 80-90% maximum heart rate zone for a few hours and that results in muscle lactic acid build-up. My legs were in so much pain from my hips down to my ankles and on and off I couldn’t feel my right foot 100% it was numb due to all the oxygen going to my leg muscles and no further. I had just not trained enough long distance which resulted in that. I was eating energy gel and water every 40 minutes as recommend but the pain was there for hours till the end. I used the Runkeeper app on the iPhone to record the event and used Sanna’s wireless compatible heart rate monitor to monitor my head rate. At one point during a massive hill climb my heart rate went into the 180’s which is 90-100% of maximum heart rate zone, I cant describe how hard that felt. The battery on Sanna’s iPhone died about 5km’s from the end so that’s why it doesn’t show the full 100km but you can see I burned just over 3000 Calories, that’s a day and a half’s normal day of food, no wonder I was hungry at the end. The After 6 hours and 35 minutes of riding (in which the last stage I had to push the bike up some of the hills) I got across the finish line. 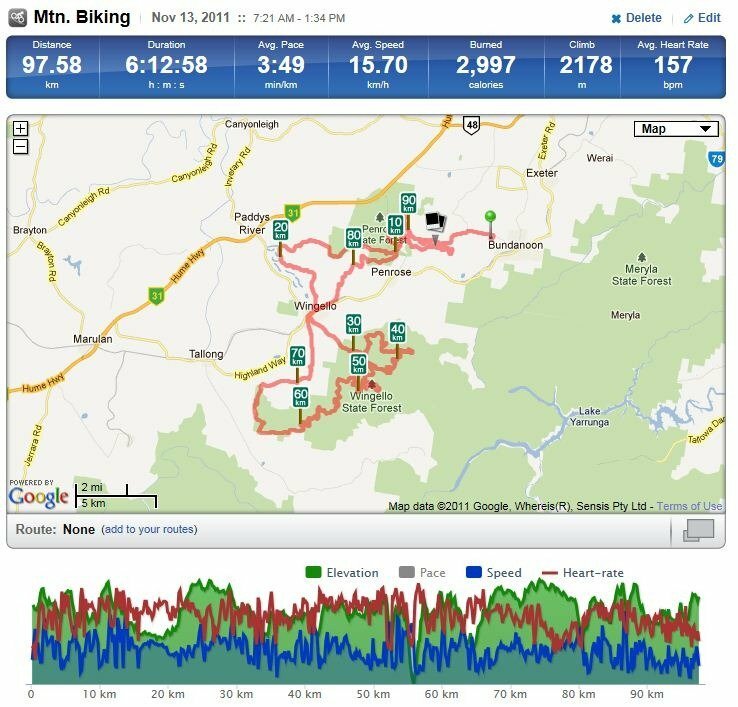 And here are my final results, the course was in three stages, the Ground Effect stage, the Shimano stage and the GU stage. Apparently most first timers do it in around 7 hours so I’m pretty happy with my time, I’m just glad I finished, it was probably the hardest physical thing I’ve ever done, probably even harder than a marathon. 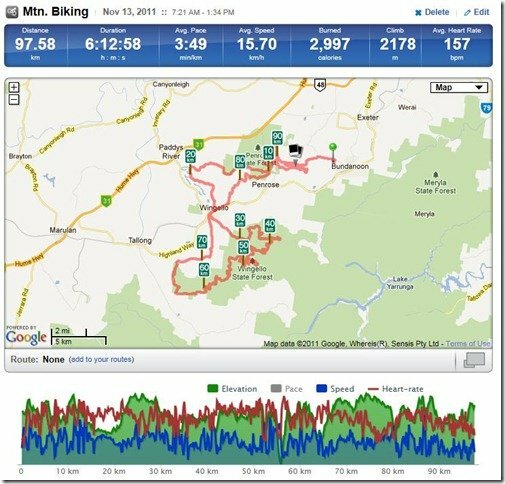 This is an blog update mainly aimed at all my sponsors who between you raised $340 a big thank you! Now onto the bad news, on Saturday morning I started feeling really ill really quickly and by lunchtime I realised of had terrible food poisoning. It must have been from something I ate on Friday but I can’t remember eating anything out of the ordinary. Come Saturday afternoon I was still in a lot of stomach pain and so weak and couldn’t leave the couch under a blanket so I had no choice but to make arrangements to not start the race at 6:30am the following morning. I’m very sorry to let you down after you gave money to sponsor me. My two other riding partners Brendon and Sanna did start though, Brendon had a problem with the rear wheel on his bike ¾ of the way and had to stop but Sanna managed to make it all the way to the 90km end. She said it felt a lot harder this year than last year, maybe as it was quite a hot day in the sun out there. 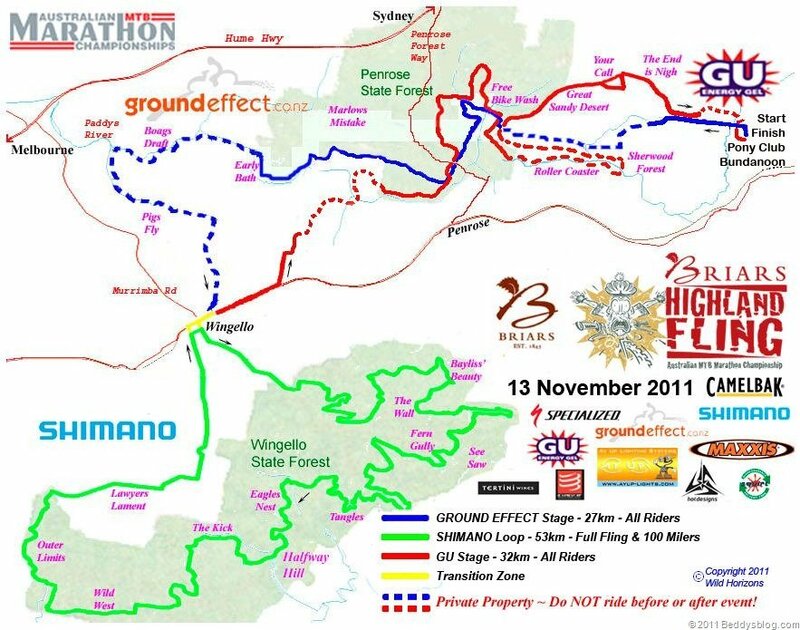 All is not lost though as its now Monday and I’m already feeling better and next weekend is an even bigger event the Briars Highland fling, a 100km off-road mountain bike endurance event one of the toughest in Australia (and possibly the world due to the rough terrain) Map attached if you want to take a look. I will use your sponsorship as inspiration to encourage me through the pain and the tough times of this ride.